Have you been troubled with your prize iris mysteriously dying? The chances are that crown rot may be the culprit. Unfortunately, some of the hybrids are more severely attacked than the older varieties. Above ground symptoms of crown rot vary somewhat depending on the particular organism causing the trouble. 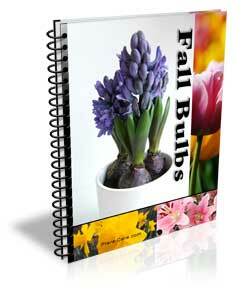 The leaves wilt, turn yellow, shrivel and die, starting about the time iris are in bloom. The leaves may collapse suddenly or gradually die back from the tips. When underground parts are dug up, the rhizome and leaf bases may be slimy and foul-smelling (soft rot) or shriveled, dry and rotted (dry rot) . Soft rot is caused by bacteria which commonly enter the iris plant through feeding wounds made by iris borer worms. Rotting is often rapid in older beds which are over-crowded, shaded and poorly drained. Dry rot may be caused by one of a half dozen or so fungi. If the soil is moist, fungus threads or mold growth may often be seen on rotting plant parts. Decayed and shriveled rhizomes often fail to grow shoots in the spring, or the shoots which do appear are weak and soon die. 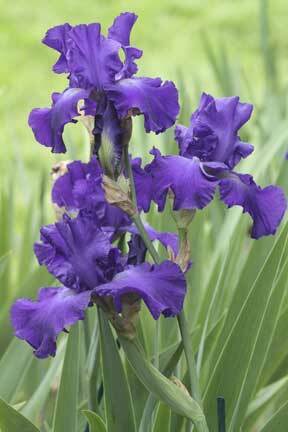 Plant only firm, healthy rhizomes or bulbs, as shallow as practical, in well drained soil and in a sunny spot where iris has not grown for the past three years. Allow plenty of space between clumps. Spray weekly, starting when the new leaves are two to four inches tall, using a good all purpose fungicide like Bayer Advanced Disease Control for Roses, Flowers, and Shrubs or Ortho Garden Disease Control and follow up with a spray of Orthene or Isotox Formula 4. Spraying should continue until plants are full-grown. Orthene and Isotox Formula 4 should control the iris borer and other chewing insects while the Ortho and Bayer Disease Control products control leaf spot diseases. The addition of a half teaspoonful of household soap or detergent to each gallon of spray will aid in wetting the glossy foliage. When crown rot first strikes, drench the soil around infected plants with Bayer Advanced Disease Control for Roses, Flowers, and Shrubs or Ortho Garden Disease Control· Use one pint on each square foot of bed surface to be treated. Repeat in 10 days. If rot continues, take up the rhizomes after flowering. Cut out and destroy all rotted portions. Soak the remainder in the Bayer or Ortho solutions as stated on the label. Dig up and divide clumps every third year to avoid overcrowding. Remove and destroy any infected leaves, cutting back the remainder to 5 to 6 inches. Destroy old plant tops and other plant debris. Avoid cutting or bruising underground parts when digging or cultivating. Wounds make easy entrances for crown rot producing organisms. After digging, and before separating, dry clumps thoroughly for several days where cool and dry. Throw away any rotted ones. If these steps are followed, crown rot should disappear as well as many of the other pests which mar the beauty of this outstanding garden flower.